September 7 is the August Kekulé’s birthday. Kekulé was one of the most prominent chemists of the 19th Century. Kekulé is credited as the man who discovered the tetravalence of carbon, carbon atoms could bond to other carbon atoms and discovered the bonding order of atoms in a molecule. He was the first to draw chemical structures where atoms were connected by lines to represent the bonds between them. Kekulé’s theory of molecular bonding would chain together atoms by their valence charges. This allowed chemists to better understand and visualize what the molecule looked like. This, in turn, allowed chemists to predict what it would take to break apart molecules and synthesize new ones. While this theory was more of a rule of thumb and many exceptions could be found, it’s use greatly advanced organic chemistry in a short amount of time. Kekulé is often credited for discovering the ring structure of the benzene molecule. 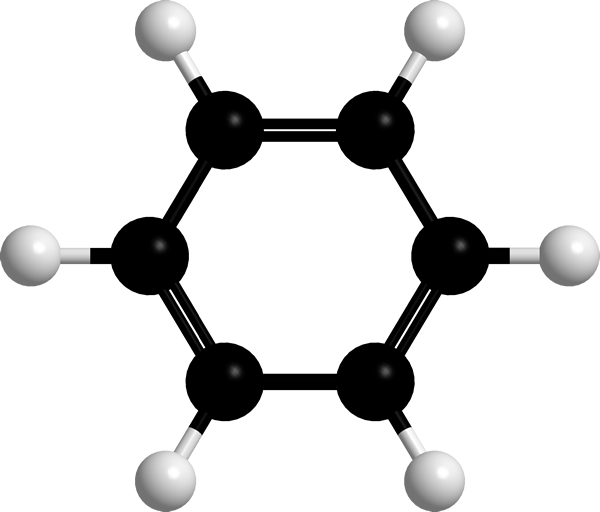 Benzene consists of six carbon atoms forming a ring, with one hydrogen atom bonded to each carbon. Kekulé wrote about the method of his discovery where he was sitting by the fireplace and started to nod off. He dreamed of atoms arranging themselves in groups of ever increasing size until they became long chains. The chains started to wind and turn like snakes until one snake grabbed its own tail. He woke up suddenly and spent the rest of the night working out the structure. It just goes to show that if you let your mind wander, you may figure out a solution to a problem. That, or it shows chemists can have some strange dreams. 1991 – Edwin Mattison McMillan died. 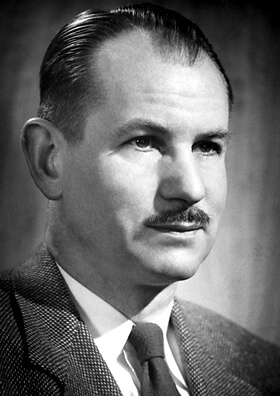 McMillan was an American physicist who shares the 1951 Nobel Prize in Chemistry with Glenn Seaborg for their discovery of the first transuranium elements. He created the element neptunium by bombarding uranium with neutrons. He also bombarded uranium with deuterons to create the element plutonium. He also proposed the next step in cyclotron technology called the synchrocyclotron. The original cyclotron design would receive diminishing returns as the accelerated charged particles would become relativistic and more massive making them more difficult to accelerate. The synchrocyclotron would adjust the frequency of the accelerating charge to adapt to this change in mass and allow for much more energetic particles. 1985 – Rodney Porter died. Porter was an English biochemist who shares the 1972 Nobel Prize in Medicine with Gerald Edelman for their independent determination of the chemical structure of antibodies. They both broke the immunoglobulin G (IgG) antibody molecule into smaller pieces and determined the structures of the pieces. They then compiled the smaller structures and determined the complete larger structure. 1970 – Percy Lebaron Spencer died. 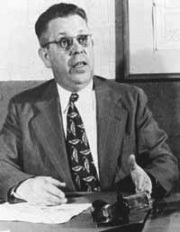 Percy Spencer (1894-1970) Inventor of the microwave oven. Spencer was an American engineer who invented the microwave oven. After working on a radar system he discovered a melted chocolate bar in his pocket. He believed the radiation emitted by the magnetron of the radar melted the chocolate when he walked in front of it. He tested his theory by popping popcorn by increasing the power of the beam. Read more at July 19’s Today in Science History. 1967 – NASA launches Biosatellite 2. NASA launched Biosatellite 2, the first successful biological satellite. This satellite was loaded with plants, insects, spores, bacteria and frog eggs and placed into orbit for two days. The goal was to study the effects of microgravity and ionizing radiation on biological systems. Biosatellite 1 was launched the previous December but failed to re-enter the atmosphere due to a malfunction in the propulsion systems. 1917 – John Cornforth was born. Cornforth was an Australian chemist who was awarded half the 1975 Nobel Prize in Chemistry for his work on the stereochemistry of enzyme-catalyzed reactions. He was studying enzymes that can catalyze changes in organic substrates that replace the hydrogen atoms in the substrate’s rings and chains. He managed to identify specifically which hydrogen atoms would be replaced for different enzymes. This allowed him to determine the steps involved in the biosynthesis of cholesterol. 1914 – James Alfred Van Allen was born. 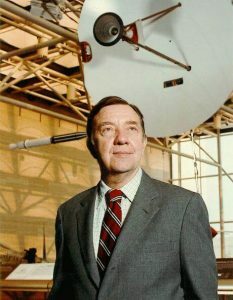 Van Allan was an American physicist who discovered the Van Allen radiation belts. The belts are twin banded regions of high energy ions trapped by the Earth’s magnetic field. They were detected because Van Allan convinced NASA to include a geiger counter aboard the first American satellite, Explorer 1. 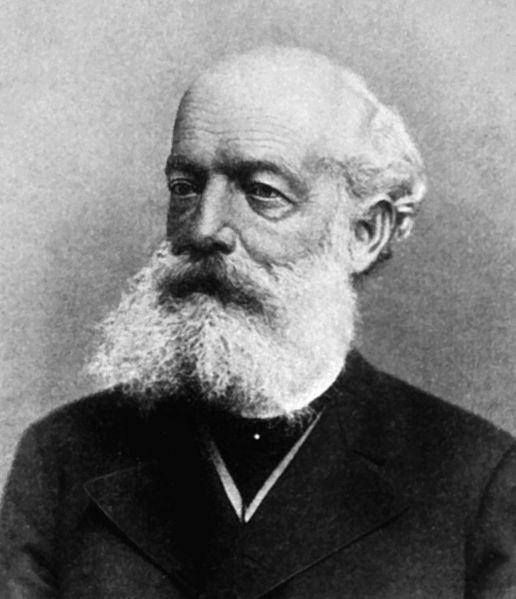 1829 – Friedrich August Kekulé von Stradonitz was born. 1816 – Ferdinand Ritter von Hebra was born. 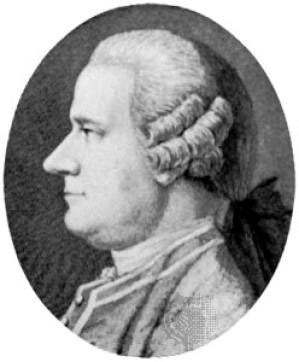 Hebra was an Austrian physician who founded the medical branch of dermatology. He founded the Vienna School of Dermatology to instruct doctors on the treatments of skin conditions. He felt most skin conditions were caused by an outside irritant rather than the prevalent theory of blood poisoning. 1799 – Jan Ingenhousz died. Ingenhousz was a Dutch scientist who was the first to recognize light was essential to plant respiration or photosynthesis. He discovered plants give off bubbles of oxygen when exposed to light, but not in the dark. He also discovered only the green parts of the plant take part in photosynthesis.